I am updating this addon, check for an update this article. I am currently enrolled in Andrew Price's Architecture Academy and in one of his tutorials he mentioned how easy it would be to have a simple script that could create floor boards suitable for architectural renders like those available in some other modelling packages. He even thought about asking someone to develop it but for some reason or other it never came te be. 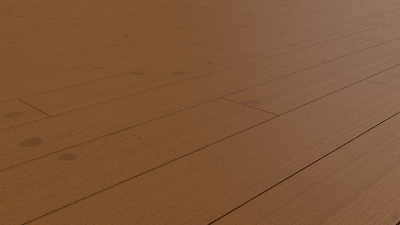 Because I think it would make a useful addition to the ArchViz' modeller 's tool set I put together a simple script Add Floor Boards. 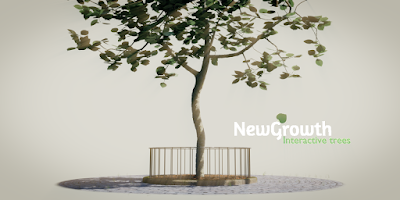 Once installed it can be found in the Add->Mesh menu at the to of the 3D view. 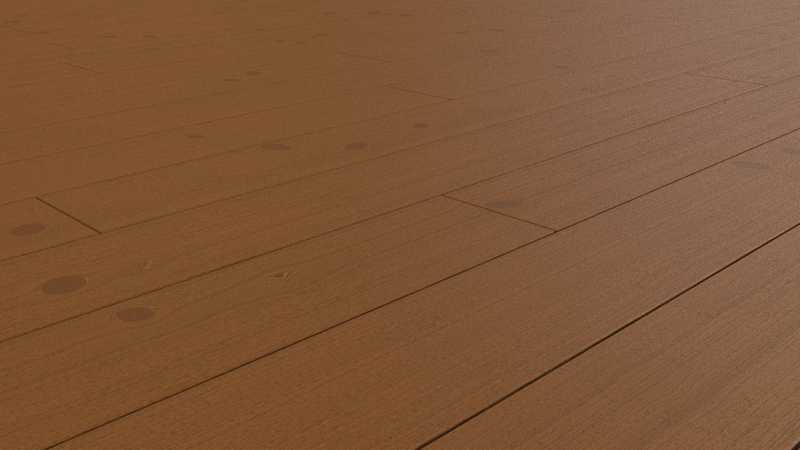 Slap on a decent wood shader and you have a floor with real geometry in a few seconds. The object that is generated by the script is a simple collection of rectangular faces adorned with a solidify and a bevel modifier so you can tweak some stuff even after the tool properties are no longer accessible. 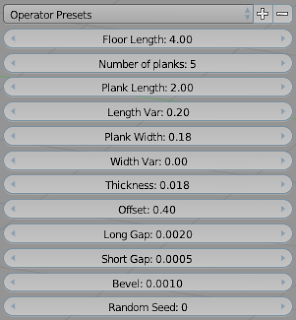 Note that the measures are in blender units and the defaults reflect typical oak boards available at my local floor board dealer and are denoted in meters. (If you do archviz work it makes sense tp select some units in the scene options). 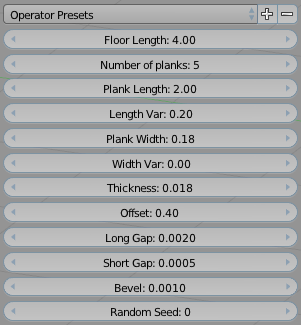 Note that the variations in length and width are added to the base measurements so set them to zero if you want comlletely regular planks (a fixed width is quite common, a fixed length not so much as it leads to waste). @greg: never mind, I can reproduce it. Doesn't mean I understand it :-) so I'll have to look more closely. Maybe it's a precision thing: the planks are rotated around their individual centers of mass (I don't use built-in operators for this) maybe their is an error in the way I calculate this center. When I add the mesh I don't have the tool options in the tools panel.